Ahem *infomercial voice* — prepare to be WOWED!!!!! 1. A TubShroom first and foremost, because IMO there is not a more successful invention on Earth (other than cheese, if that counts). 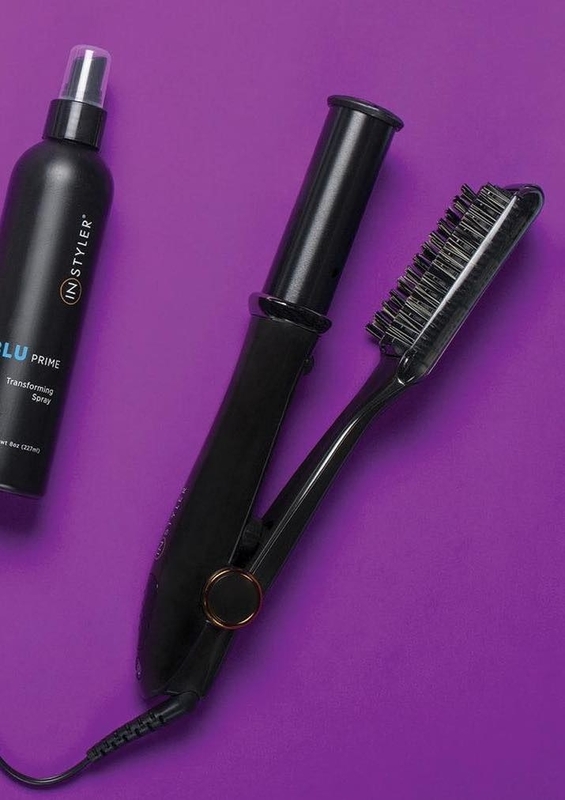 Hair won't even have the CHANCE to clog your drains ever again. Plus its silicone design makes it super easy to clean (thank goodness, because yuck). Check out a BuzzFeeder's full review! 2. A Fasta Pasta that'll be *chef kisses fingers* magic when you just pop this in the microwave and eat your linguine faster than you can say al dente. 3. A Baker's Edge Brownie Pan for making every👏 single👏 serving👏 an extra-crispy corner piece. This doesn't come with a guide to will power, so do expect to eat the whole pan in one sitting. And! A nylon spatula and brownie recipes are included. 4. A pack of Better Life Natural All-Purpose Cleaner so you can rely on a household product that's super safe around kids and pets. This guy is still alive, so you know it's the real deal. It's safe on all surfaces (toilets, floors, tables, showers, carpets, you name it). It effectively cuts through grease, hard water stains, soap scum, foods stains — really any *sticky situation*. AND it's cruelty-free! Get a two-pack from Amazon for $10.83. 5. 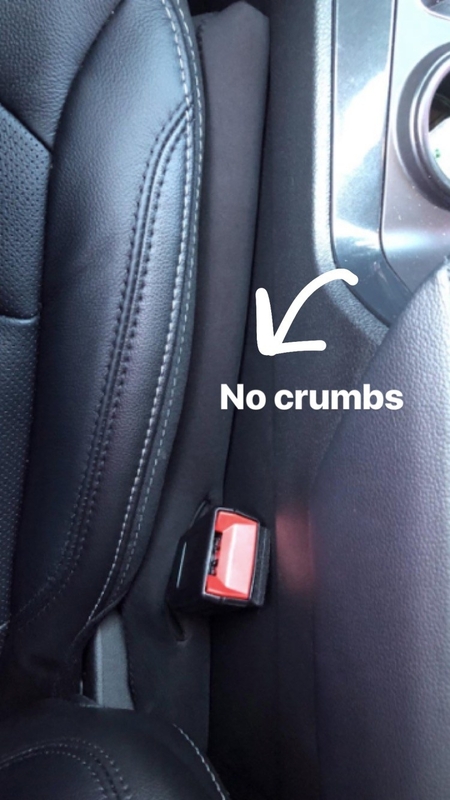 A set of Drop Stop gap fillers, because French fries should be in your mouth — not buried between the seats. Now parents can't yell at us for eating in the car. 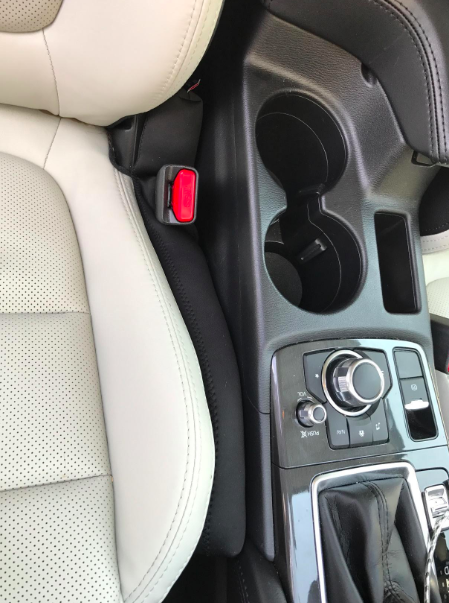 They even fit around your seat belts and move with the seats if you adjust them! Get a two-pack from Amazon for $19.99. 6. A Readerest Magnetic Eyeglass Holder that'll attach to your shirt or jacket and keep your glasses (or ID badge) constantly at hand. Pretty important for things like seeing. Both ends are magnetized so they *stick together* all day! Get it from Amazon for $9.98 (available in two styles). 7. 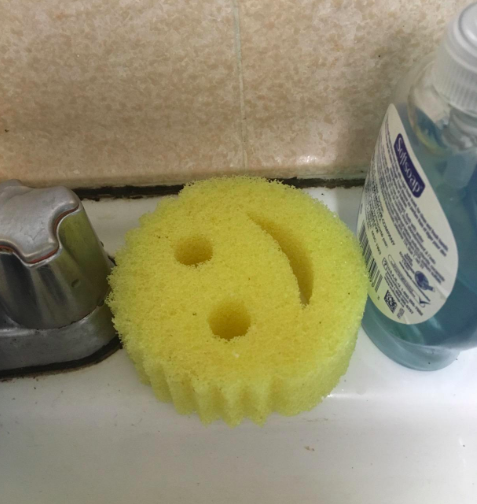 A Scrub Daddy for tackling tough messes (be it the dishes you let "soak" for way too long, stovetop stains, or bathroom buildup) without putting in much ~elbow grease~ at all. 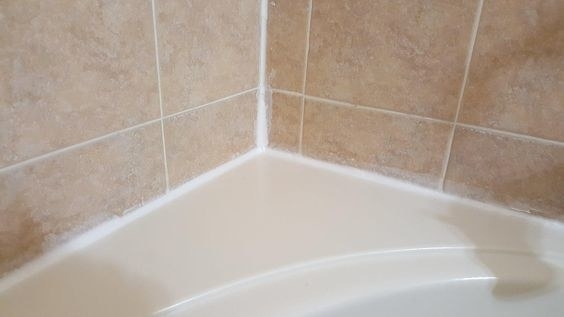 This will get everything back to squeaky clean without any scratching. Plus it's easier to rinse than most sponges so it doesn't cling to debris (and start to smell). It's soft in warm water for a gentle cleansing and firm in cool water for tougher scrubbing. Check out a BuzzFeeder's full breakdown! Get a two-pack from Amazon for $14.99. 8. A pack of Bottle Bright cleaning tablets so you can FINALLY reach the bottom of your water bottle and get rid of mildewy odors and hard-to-reach stains without the need for awkward scrubbing. 9. A Squatty Potty, because this will bring some relief to those whose bowels are just ~stooling around~. Translation: YOU WILL POOP LIKE NEVER BEFORE. 10. An Onion Chopper Pro that'll dice hard food efficiently and easily with sharp stainless-steel discs to *cut* prep time in half. It also reduces onion vapor for a hopefully tear-free experience in the kitchen. It's also dish-washer safe so everything can be cleaned even if you're in a food coma. 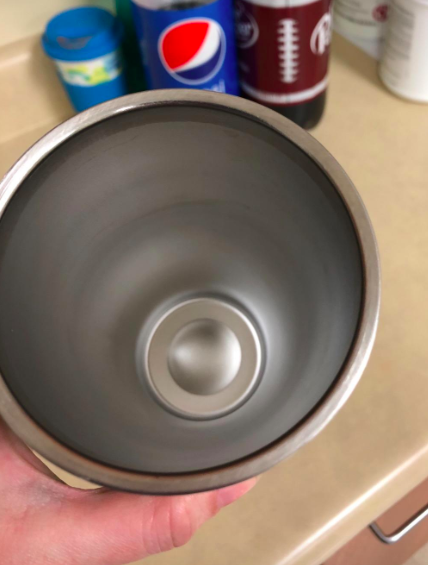 It comes with stainless-steel discs, a four-cup container, cleaning brush, and a recipe e-book! 11. 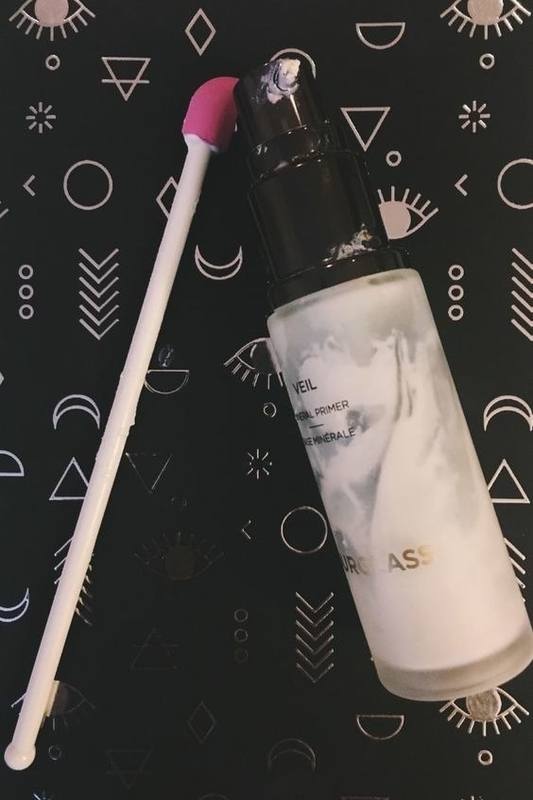 A Spatty Last Drop Spatula for getting every last possible drop of your expensive AF makeup — you did not spend all that money just to throw some away! 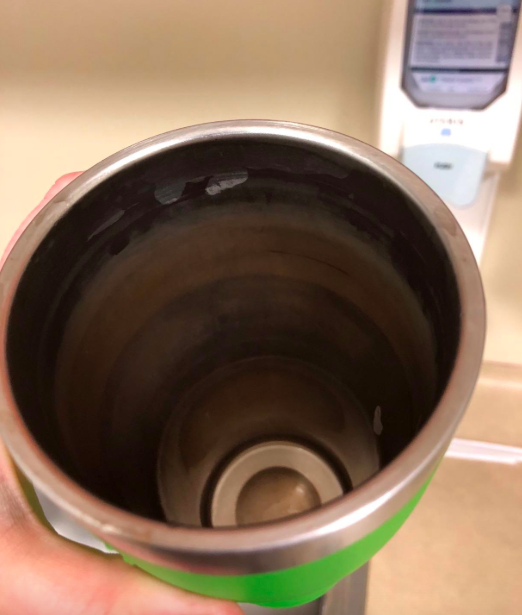 It also comes with a ~Spatty Daddy~ which effectively scrapes out hair products, condiments, sauces, or really anything that comes in a larger jar or bottle. Check out a BuzzFeeder's full review (#1 in the post)! 12. A silicone Boil Over Safeguard so you don't have to hover over your rice the entire flipping time (because obviously it will boil over the minute you turn your back). This will catch all the water — no cleanup required. 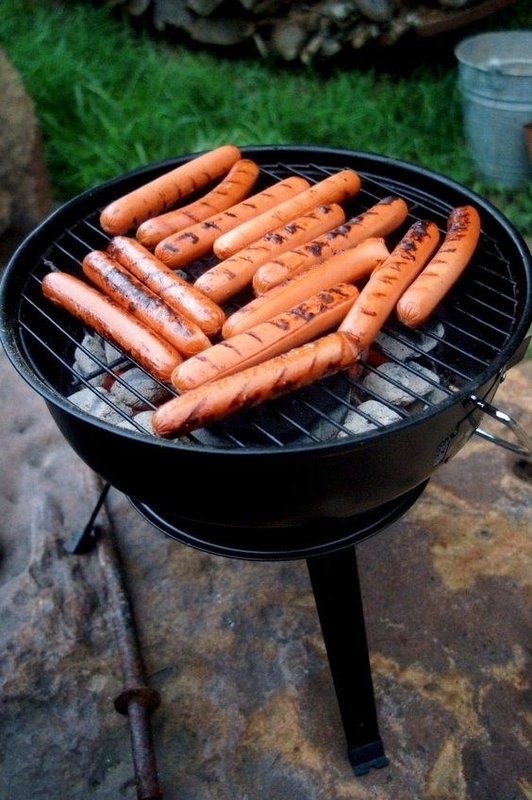 It's heat-resistant up to 400 degrees and fits pot openings with a 6" to 10" diameter. 13. A Q-flex Acupressure Back and Body Massage Tool, because areas that are a real *pain in the neck* can finally be addressed and treated without a hefty massage bill. It has a natural hand grip to keep your arms low and comfortable, and a pear-shaped tip to effectively knead out tension. 14. A pair of 18K gold-plated Magic Bax Earring Lifters that'll adjust drooping earrings and make heavier styles more comfortable. Just slide it onto the back of your post and it'll do all the heavy lifting. Get a two-pack from Amazon for $29.99. 15. A set of Wonder Hangers for quickly organizing your closet by stacking garments and folding these down to create previously unavailable space. A reason to go shopping? ....Yes. Each hanger has five slots, can hold two garments per slot, and can hold up to 30 pounds. Get a 10-pack from Amazon for $14.99. 16. A pack of InstaFire naturally insulated to burn directly on top of water, sleet, snow, ice or wherever so a little inclement weather won't dampen your camping trip. PLUS when lit, it can sustain winds up to 30 mph and burn up to 1000 degrees! Promising review: "I love this product to help start camp fires. I originally bought a pack of this stuff outside Zion NP in Utah, and it worked so well, I bought a bunch of packs when I saw it on Amazon. I had some stubborn wood that did not want to stay lit when starting it the usual way of using some balled up paper and/or small little kindling sticks. I used a little pile of this and the fires started up every time. 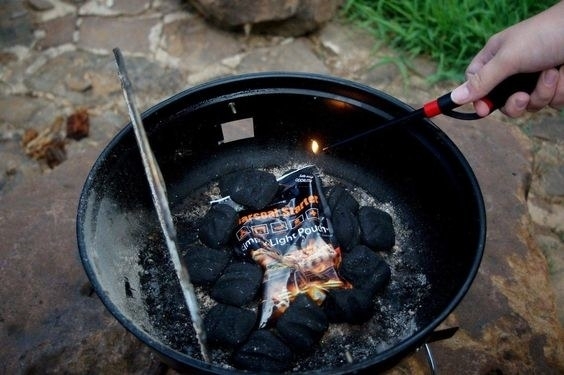 Never had a campfire that wouldn't stay lit before, so this stuff came in handy." —Eric E.
Get a three-pack from Amazon for $6.76. 17. A CouchCoaster, because balancing your coffee on the sofa arm is truly a dangerous game. Not to mention you'd have to interrupt your The Office marathon to clean it up. It even comes with an insert for smaller glasses/cans! It can fit anything from regular glasses, beer bottles, mugs, and anything in between. Get it from Amazon for $25 (available in four colors). 18. A Turbie Twist that'll dry your locks — whether they're long, short, thin, or thick — quickly and hands-free (and actually stay put). You're free to scroll through Instagram in your towel with abandon. It comes in four colors (pink, green, purple, and blue). Get a four-pack from Amazon for $21.99. 19. A Hide A Key Realistic Rock for avoiding getting locked out of your house for about the umpteenth time. If you REALLY don't want to call your roommate for help again, you need this. For everyone's sake. 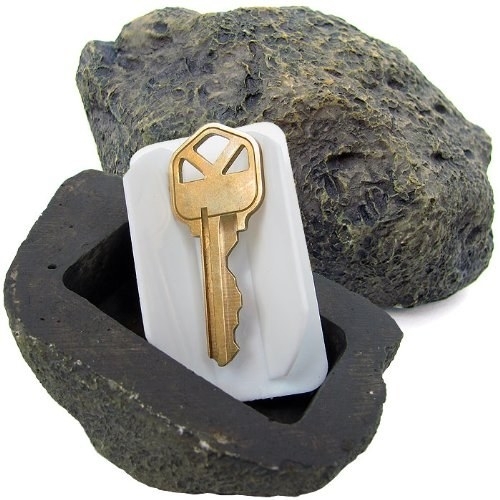 Plus its believable rock design can set your mind at ease about people spotting your keys. 20. A pair of True Touch deshedding gloves so you can free your apartment from the perils of your pet's constant shedding. It's as easy and enjoyable as just petting your cat and dog so everyone wins. 21. A set of Shoe Slotz, because you should actually be able to find all the boots, heels, sneakers, sandals (you get the point) you just really NEEDED. And now you have room for more. It'll stack one shoe on top of the other (the shoe slot goes on top of one shoe) to double your closet space! Get a 10-pack from Amazon for $24.95. 22. A PackIt freezable lunch bag that'll replace ice packs by keeping food cool all day. Just pop it in the freezer overnight and then feel free to pack it with fruit or just a lot of cheese. Get it from Amazon for $19.99+ (available in 31 colors). 23. 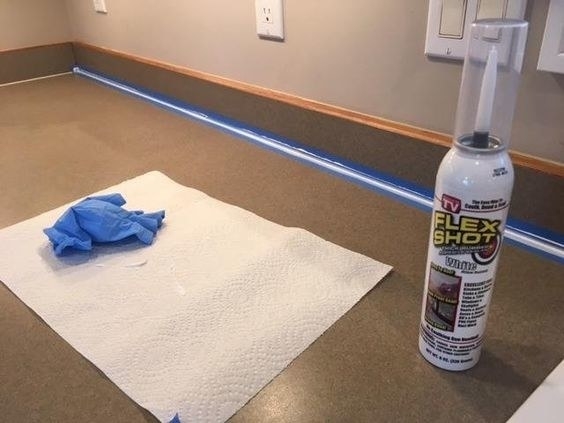 A Flex Shot rubber sealant for quickly spraying clear coating material to easily stop leaks, seal cracks, and cover past damage. No big repair bill necessary. 24. A Wonder Wallet so you can keep track of up to 24 cards in a super slim and compact leather design. It won't remind you to close your tab at the bar, but it'll definitely prevent you from digging around your bag for 20 minutes. This bb includes two inserts for the wallet and RFID blocking to stop remote scanning of cards and to protect private information. Get a two-pack from Amazon for $19.99 (available in two colors). 25. An Instyler two-way rotating iron, because getting up early to blow money at the salon is annoying. 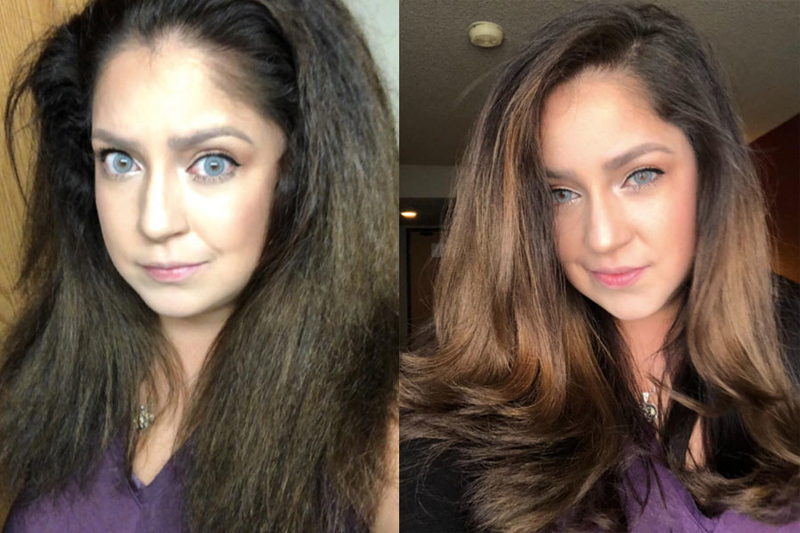 Its two-way heated rotating barrel smooths as it styles to give you the same results (whether you're going for beach waves, straight hair, or curls), save you money, and let you sleep in. It only takes ~30 seconds~ to heat up and has four heat settings up to 425 degrees! It even has an auto-shut off to give you peace of mind, and its ceramic plates help avoid heat damage. 26. A HoodiePillow that'll make the most out of long flights or train rides — aka you can nap comfortably and totally ignore everyone around you. Win, win. Its neck is inflatable so it's easy to travel with, but comfy when you need it! 27. A Drive Bin so you can nix garbage from building up in your car. 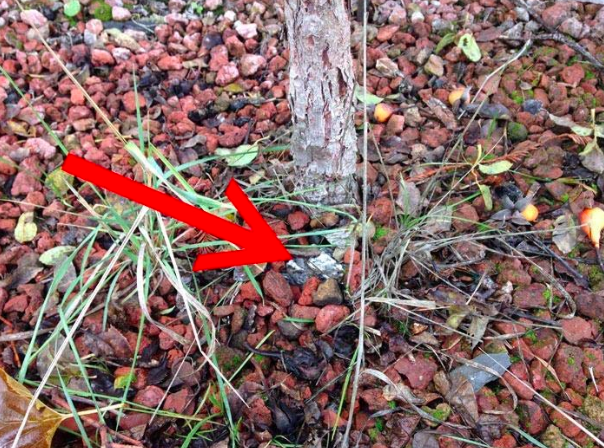 Eating fast food is obviously unavoidable when road tripping — but now trash is.